As you may already know from reading my blog, I am a huge Abraham Hicks fan. She has been a foundational influence in how I see the world and create my reality. Last weekend I was blessed with the opportunity to attend one of her live workshops in Chicago. If you don’t already know, the woman’s name is Esther Hicks and she translates the Infinite Intelligence that she has termed Abraham. Do not be mistaken that Abraham is some disembodied person though. Abraham is the Source within Esther and her experience of it. It is the same Source within each of us that we all have equal access to. That’s why I’ve resonated with her message for so long – because I can feel the words she speaks stir up the deepest parts of my soul. Abraham explains it better than I can in this quick video when someone asks who Abraham is. The law of attraction never ceases to amaze me, even when I am just picking a seat. The workshops are usually sold out and hold about 300+ people, so I wanted to get there early to find a good spot. The venue was a Marriott hotel inside one of those large conference rooms. I was not the earliest bird, so I was searching amongst “saved” spots, with sweaters and bags scattered about. I wasn’t sure where to sit because the open spots were scattered everywhere, but I just plopped my bag down on a chair in the middle and decided. It was still early and most people were socializing about, so I took off to meet some people. Fast forward to three minutes before show time, I came back into the bustling conference room, very grateful for my early effort. As I walked down the isle, some of these seats were in the boonies! In the morning before the event. I’m sitting near that guy standing in the blue shirt, a few rows back. This is also just one of four large sections of the room. I’m from Mason Michigan. I looked down at Barb’s name tag – Mason, MI! No way, I thought! We all laughed at the oddness of it. Incase you don’t know, Mason is absolutely tiny! I would be shocked to find another Abraham fan in Mason anyways, let alone travel with your PNW waterproof backpack all the way to Chicago and randomly pick a seat right next to one! The law of attraction is like that. When you begin realizing your deepest Self and understanding how reality is shaped around you, these synchronicities are realized all the time. There’s no such thing as coincidence. We attract everything according to universal law. Esther proceeded on stage and began her introduction and gave some quick updates. Then she went to go “get Abraham,” as she says. It was just incredible, to watch this woman in front of me tune into such a high vibration and begin translating it into words. Abraham began speaking about the law of attraction, how we create our own reality, and the nature of our vibrational being, blah blah blah… lol. I’ve heard this introduction about a thousand times before, in all of it’s various forms, from watching SO MANY videos of her workshops on YouTube. I was so excited I had to try and stay focused on her words. But for a good ten minutes I just stared at Esther’s body and watched the subtle light emanate from her. I thought, if I’m ever going to see someone’s aura, it’s going to be Esther’s while she’s with Abraham. In many of the audio recordings, Abraham speaks about the aura around Esther and often will goose it up, as she says, to help people see it more clearly. Now, I’ll be honest, auras are not my normal mode of translating energy (I am more of a clairaudient and clairsentient – hearing and knowing), but this was pretty cool to see. She just had a subtle glow around her body and head. If you’re a graphic designer nerd, like I am, it was like putting a white drop shadow around her body with a low opacity. I smiled at the sight of it. Then tried to pay attention again. Abraham workshops never have a curriculum or outline. Anything could happen! The only structure is that people are called up into the “hot seat” and given the chance to ask Abraham some questions about life. That’s the whole format – just people asking questions. Abraham can see the vibration of the room and the individual vibrations of each person and chooses the people who are best suited to answer questions that everyone wants to know about. Abraham has a very broad perspective and always chooses perfectly. I had some questions within me in the beginning that were answered by the time the second person came up. It usually happens like that. Your questions get asked by other people. I bought the ticket for this event about two months prior. Ever since I booked it, I knew I was going to get picked. It was a gentle knowing and I had very little opposing doubt or resistance to the idea of speaking with Abraham. I mean, after all, Esther is by far my favorite teacher and has been by far the biggest influence in my life. Of course I’m going to be picked for the hot seat! It was a calm confidence. However, I didn’t quite know what I would ask. During those weeks approaching the event I often pondered, What would I ask Infinite Intelligence? That’s quite an interesting question. I mean really, think about it, what would you ask God? I realize I am tapped into my own Infinite Intelligence most of the time now, but still, I wanted to ask Abraham something very clearly that would benefit myself and others who were listening. Fast forward to the hotel conference room, half way through the event, and I begin raising my hand to be picked. Person after person are called up as my calm confidence turns into a tiny anxiety. I am not always perfect with my vibration lol, no one is, but I’m not terrible either. I held my composure and left it all to be. I knew all was well, all was good, and that I would have a perfect unfolding no matter what – whether or not I was picked for the hot seat. Eventually the thought popped into my head that I might just close the workshop, as in, be the last person in the hot seat. It seemed appropriate for the type of question I wanted to ask – a very deep question. I had the thought, but not the assurance, so I kept raising my hand anyways. We broke session for a water and refreshment break. I calmly assured myself all was well. I would not succumb to doubt, worry, or fear that I might “miss out” on this chance to speak with Abraham. Oh, it was definitely on edge of my awareness, the missing out, but I am not one to so easily give in to negative thoughts. Moreover, the vibration of the people around me, the event, and all the goodness supported my calm confidence very well. Looking back, I am grateful for that. Session resumed and there was only time left for a few questions. I kept raising my hand. They were always awesome questions and Abraham’s words always soothed me back into such a good feeling place. Everything was so clear when I focused on what she was saying. The person in the hot seat was done. She was about to ask for another. I looked down at my phone’s time. This was the last chance. There was only time for one more person. I put my hand in the air. Her eyes swept across the area to my right and she inched closer to me. My eyes were locked on hers and she gently slowed down, peering right at me. She moved her arm to point at me and ask, as she usually does, “stand if you think it’s you” but I was already standing. I just knew it with my whole being. She nodded and I lit up like a little girl inside. As I approached the stage, my body filled with tingles, energy, excitement, and so much gratitude. She asked the audience, “Did you notice how he stood up before we asked? He caught the block of thought before it was said.” I just smiled. 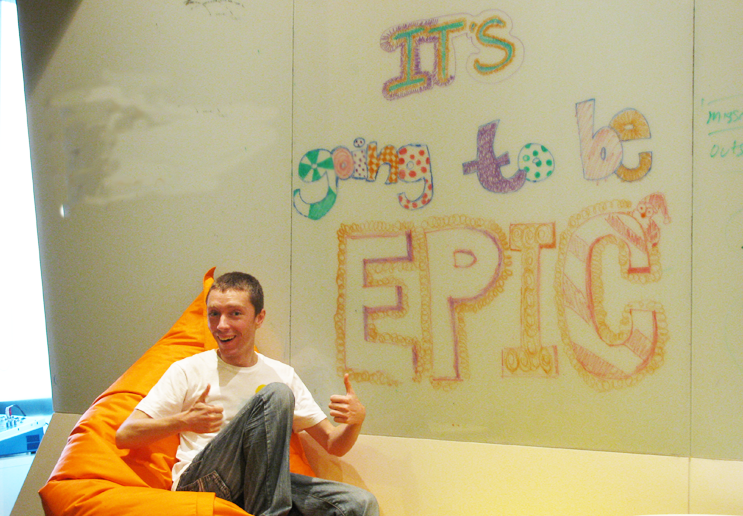 I sat in the hot seat – which isn’t so bad – and gathered my composure. I was calm and ready for this. I knew exactly what I wanted to ask Infinite Intelligence. To be honest, I can’t recall the exact dialogue or formulation of questions that proceed after the first. Our conversation was in three parts and I had some deep realizations within them. Eventually I will be able to share the audio recording when it’s published. Often it is said that it’s easier to hear Abraham’s answer when you’re not in the hot seat. That’s very true from my experience as well. I heard most of what she said, but not 100% and I can’t wait to go back and listen. I opened up the conversation asking for Abraham to elaborate on “step five living.” (Abraham’s got a bunch of steps. You can look them up here.) This concept was mentioned in the workshop today and I wanted to hear about it in the context and comparison to enlightenment and the inner peace that many monks strive for. (Just FYI, step five is about living in the world of contrast without condemning any of it, because you realize the importance of contrast for expansion). I asked in the context of my recent experience of enlightenment (which I wrote about here). I shared my experience about this sense of coming into full knowing of my essence as that of well being and goodness. I wanted to know what that meant in the context of step five. She basically said I was on the right track, aligned, and yes that is what happens. You become more aware of the abundant well-being of Source in every moment. So I continued to ask about the differentiation between Source (God), angels, guides, ancestors, and other nonphysical beings which so many people worship, channel, connect to, etc. Personally, I have always had God at the core of my internal dialogue. I have always prayed to God, spoke with God as my closest friend, and watched as God speaks with me through life. However, I am also aware that I have many guides and have communicated with them. I know that I have a plethora of nonphysical energy supporting me and then there is also God. But who is who? This has confused me in the past. I wanted to know who was what and where was who! Who was who!?! Are they all God? Are my guides God or are they other beings? Who am I praying to? Who am I communicating with? Who is listening? Am I speaking with a guide or are they also God? Abraham replied in a beautiful way, continuing to give examples of the unique ways that God speaks to all of us. God is that song on the radio. God is that good feeling thought. God is that billboard on the highway that caught your attention and you found meaning in it. God is so incomprehensible that you cannot even begin to describe or detail the ways in which He/She is communicating with you. Source is everywhere that you focus and find meaning. God always communicating with you – but are you tuned in? She spoke on about the energy of Source being called forth from my expansion through exposure to contrast. Somehow, my question lead into something else regarding Source and contrast. I asked if Source was contrast itself. But it was more profound than that. She explained how when someone is in despair and they move to anger, that is where Source is for them. Source is the relief. She emphasized it and gave more examples. Source is calling you towards your expansion. When you know what you don’t want, you know what you do want, and Source becomes it. And there Source always is. Source is in the relief of everything. Source is not necessarily the contrast, but the very movement of our consciousness through contrast towards new creation. This is huge. Even as I sat in the hot seat, I was astounded at this interesting twist of realization. God is relief. Relief is realizing Self. Relief is allowing well being. Relief is literally the movement of energy caused by contrast. That is God, right there, the movement in everything. Between everything. Source is within all of it, but rests in none of it. That’s why we never find lasting happiness in destinations. Because lasting happiness can only be found in the realization of permanent movement & expansion forward. In other words, as many sages have already said, the joy is in the journey. Happiness (aka good feelings) do not come from objects, achievements, or destinations. Happiness (good feelings) come from the movement towards your ideal Self – that you crated – which God summons you towards. That’s who we are. We are God experiencing our own movement. God is eternally expanding consciousness. Eternally growing life. Forever and forever. And what we call contrast, is actually the engine of our entire beingness. Relief is the feeling of God within us all time. Relief does not end. The spectrum of God does not end – it’s Infinite! That’s why ever-new joy is even possible, because of this eternal relief. This is the key. Relief is the movement between vibrational frequencies. Enlightenment is to realize, to be, to enjoy perpetual relief. Whether that’s from calmness to joy or anger to frustration. Where-as we often times we label bliss or ecstasy as the highest feeling we have and then it’s done. But bliss and ecstasy are just points on an always growing continuum. God does not rest in any single point. God is the movement between the points, regardless of where they are on the spectrum of emotions. That’s how God is even omnipresent. God is every point on the spectrum. But there can be no points unless there is you! You are the individualized experience of movement between omnipresence. Therefore, upon this realization, you can fully live in step five, where you realize the gift of contrast. You accept it as yourself. That is the true meaning of the end of suffering. Not the end of contrast, but certainly an easier way to navigate through it. I’ve uploaded the audio recording of my two questions to YouTube and you can now listen to them on my blog. Please finish reading this story and then head over to listen here. Thanks! Well that was rather wonderful. I just had an incredible conversation with Infinite Intelligence and now the workshop is ending. Afterwards a handful of people approached me and just said thank you and how much they enjoyed the conversation we all had together. I exchanged contact info with a few of them and began walking out of the room, when this gorgeous girl walked up to me and introduced herself. 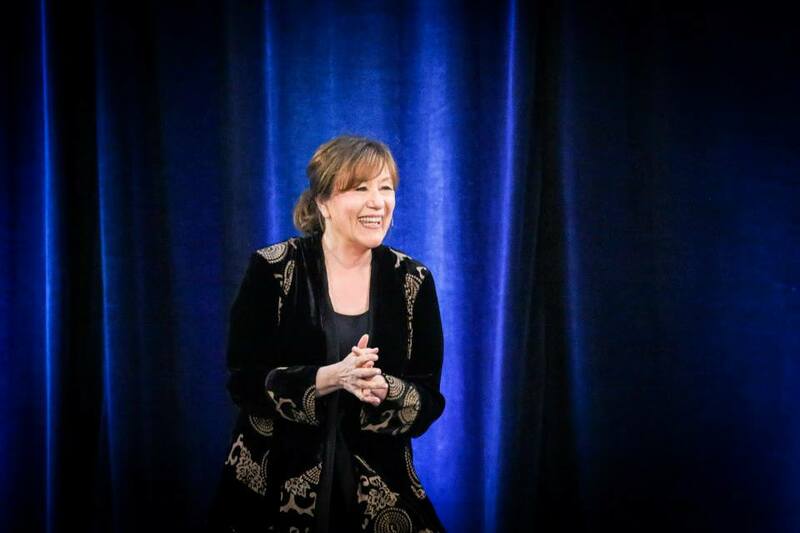 She really resonated with the ideas I was talking about on stage, about enlightenment, step five, and embodying the Source within our every day lives. We really connected and continued to chat for a few hours after the conference ended. We enjoyed lunch and some of the most incredible conversation together. It was refreshing to speak about such soulful experiences with someone who really understands. She felt exactly the same way – to actually be able to share her experience was such a relief. It was joyous relief for both of us. Our paths may cross again and I look forward to it, but she re-kindled my knowingness that there are others out there who are just as spiritually eager as I am. There are others who are so passionate about discovering their inner divinity in this contrasting world. There are others who are just as excited and overjoyed about life as I am. She was the delightful cherry on top of the whole experience and I am so grateful for her presence. I drove home that day with a renewed sense of awe. I kept thinking, I can’t believe I got picked for the hot seat, but then a second later, I laughed, and thought haha yes, actually I can, because it’s the most logical thing in the world, I created it. My own awakening is just beginning and I am so grateful for each and every step along the way. The energy of my life is accelerating in every single way right now and there are so many magical things manifesting. I am fully stepping into my vortex of well being and owning it. Abraham and my cohort of guides are helping make that happen, because they are the feeling of relief in every moment that I find perpetual alignment with my own inner Source. There is nothing more important, powerful, or valuable, than having that knowing rest within your heart. And I invite anyone who is reading this, who may be lost, confused, or unclear, to simply go within, ask for guidance, and be open to receiving it. How do you believe I have come across such wisdom? I asked. I asked with my entire being. I asked for the depth of knowing what it means to be alive and how to thrive in this world. All I can say is that I got more than I bargained for. These realizations are priceless, yet free for everyone. All you need to do is ask and Source will move worlds to show you exactly Who You Are. P.S.S Update – You can now listen to me ask my questions to Abraham. Listen here. 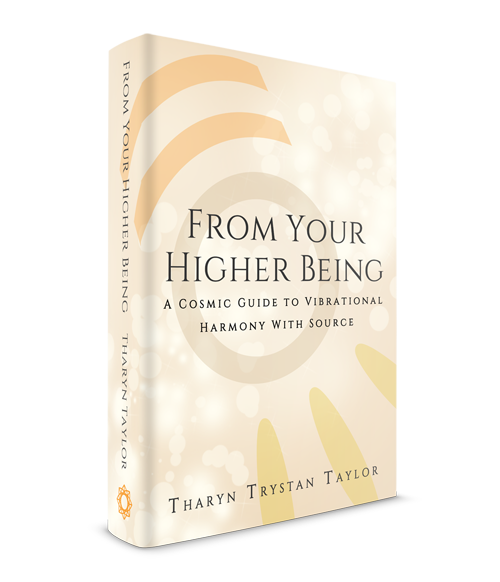 My new book, From Your Higher Being, will be published in the next couple of months. It’s all about discovering your inner divinity, how your emotions work, and Who You Really Are! Thanks for reading and glad you enjoyed it Emilia! Haha, that’s so cool! And your comment in my timezone was 11:11. A wise man once said we’re all just walking each other home. :) Glad to be here with you. I know Abraham for so long but that clarification of movement and omnipresence was… oh. Sorry I don`t have words to express it. Haha, yes, it will make you speechless. The beautiful way I see Source in my mind could never quite be captured, but writing is the closest I can come, and the way Abe has explained relief to me on that day was very transformative. Yes Angelic, I got your message and look forward to connecting more! You have a gift with words!n truly a blessing! Thanks for being the messenger! Thank you Tharyn for sharing your experiences and writing so coherently. Everything you wrote resonated with me. I discovered Esther and Abraham about a year ago and instead of having all the great realizations and experiences like most, I seem to be revealed to lots of negative things I’ve pushed deep away from my childhood that are surfacing again as an adult. I don’t give up though, I still listen to Abraham and all related articles. Thank you again. Wow, Tharyn, thank you for this post. Like some others here, I’ve listened to many audios of Abraham-Hicks but I’ve never had the pleasure of being at one of her shows or being in the hot seat. What an incredible experience that must have been. I would love to watch the video of your time with Abraham (the one you mentioned above) when it becomes available. I think it would be even more inspiring. Thanks again for sharing. I see a movie and I will try to explain in words. Father= Absolute (Stillness) and Mother=Movement (music of the Spheres)….we realize movement or expansion as Divine Male/Female…..I see Father/Mother as flows that swirl around each other as a sphere or a swirl adding new rings to the pattern….we as individualized presences can reset the originating point of the expansion with our every creative moment and a whole new swirling pattern emerges and continues as expansion…..this whole process is expressed in Fractal Geometry where patterns break down and form new ones at any moment. Now imagine this on a Cosmic scale with trillions of “I AM Presences” creating continuously in the moment. Tharyn – to read your words and be blessed with your friendship I am reminded that…. These are the things that make this journey so magnificent and as you beautifully wrote what Abraham shared with you – these are the things we call God… And to me my friend although our journey has been short so far – these are the things that I see in your words and these are the things that I see in you. Thank you for who you are being in the world… And for twinkling the light brightly. It is that light that you notice twinkling slightly brighter than the others as you swoop down and fly into a city in the only black of the night. Thank you for who you are being in the world… And for twinkling the light so brightly. Hey Tharyn! I loved your vivid description of the seminar; it inspired a desire within me to attend a seminar in the future – time to line up with that! Also, I’ve been feeling pretty lost lately and looking for guidance, so I’m glad to have attracted your advice to ask Source for guidance and remain open.